Online, in May: I'll be teaching an online workshop on Advanced Plotting: Keep Those Pages Turning. COST: $125, which includes weekly assignments and individual feedback from the instructor. This class will be conducted through a Discussion Board, with the opportunity for students to ask questions and post homework samples. BUY NOW: Advanced Plotting with Chris Eboch (4 weeks, starting 5/4/2016) Limit: 15 students. Early registration is recommended. New York, in June: I'll present three workshops at the 21st Century Children's Nonfiction Conference. The conference is June 10-12 at Iona College in New Rochelle, NY. To learn more about the conference, visit the website. 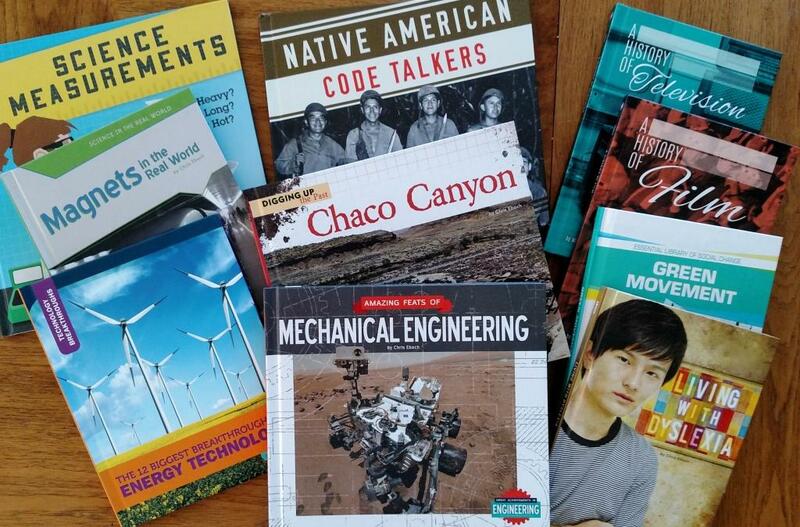 Children's Nonfiction 101: Friday Intensives (an optional extra three-hour intensive): If you are new to children’s nonfiction publishing, or want a refresher about the current terminology, markets, and acquisition process, this intensive will be invaluable. Presented with Caryn Wiseman (Andrea Brown Literary Agency) and Michelle Bisson (Capstone). Show Me the Money: What can an author earn? Learn how writers are making a living, through original book projects, work for hire books, magazines, test passages and more. Explore how to reach some of the less obvious markets, and discuss the attitude changes that need to happen to turn writing into a business. 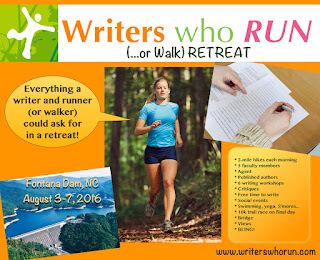 August, in North Carolina: I'll present two workshops at the Writers Who Run Retreat, August 3-6 in Fontana Dam, NC. 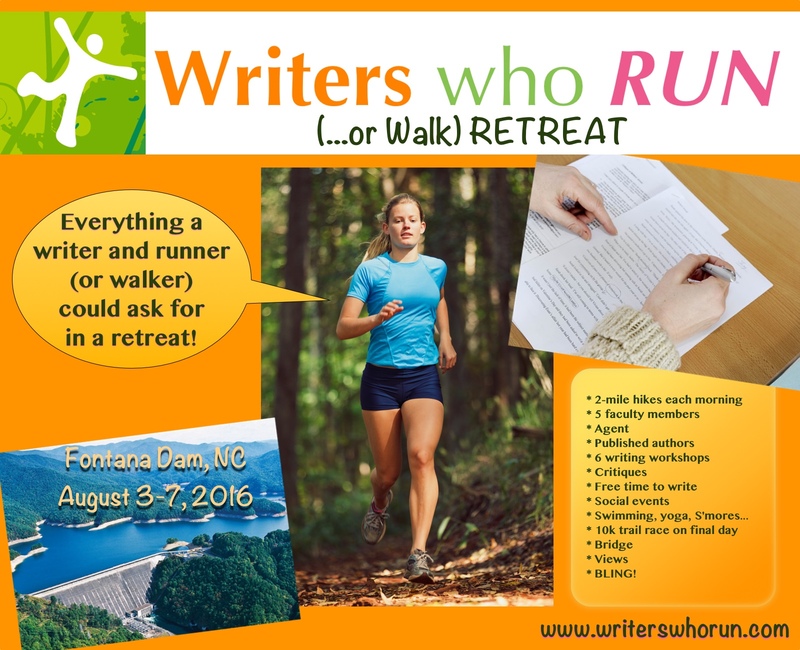 You'll enjoy three full days packed with a morning 2-mile trail run (optional), breakfast, two 2-hour intensive workshops focused on craft and the business of writing, lunch, roundtable critique groups, free writing time, dinner, and a fun social event each evening. Learn more at the website. Plotting Techniques: Are you struggling to plot your novel, or do you have a plot that isn't working? Chris will help you learn how to plot like a pro. If you wind up at any of these events, please be sure to say hi! Chris Eboch is the author of almost 50 published books. 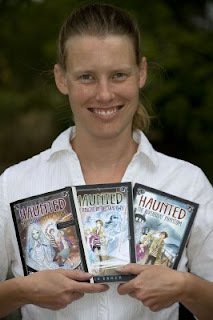 Her writing craft books include Advanced Plotting and You Can Write for Children: How to Write Great Stories, Articles, and Books for Kids and Teenagers. 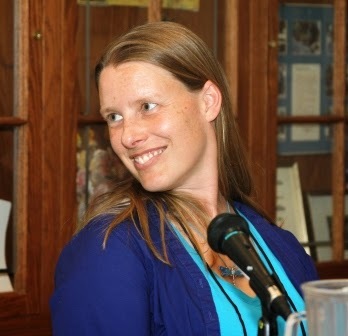 She has sold over 60 writing articles to Writers Digest, Children’s Writer, and the annual Writer’s Guides. 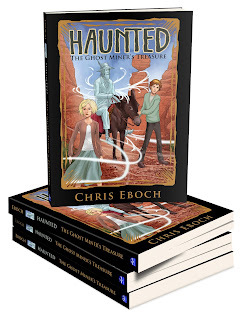 Chris’s novels for ages nine and up include The Eyes of Pharaoh, a mystery in ancient Egypt; The Well of Sacrifice, a Mayan adventure; The Genie’s Gift, a middle eastern fantasy; and the Haunted series. 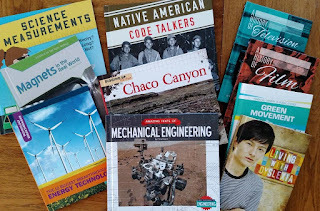 Her recent nonfiction titles, published under the name M. M. Eboch, include World War I Battlefield Medicine, Native American Code Talkers, A History of Film, and Chaco Canyon. Learn more at www.chriseboch.com or her Amazon page. In The Ghost Miner’s Treasure, Jon and Tania travel with the ghost hunter TV show to the Superstition Mountains of Arizona. The crew visits an abandoned mining town, where the ghost of an old miner is still looking for his lost mine. Tania is determined to help the old miner move on. But to do that they must resolve the problem keeping him here, which means helping him find his mine. And that means taking the TV crew deep into the rugged land of deserts and canyons. But they could hardly have imagined the trouble this adventure would bring! Aladdin/Simon & Schuster released the first three Haunted books in 2008. 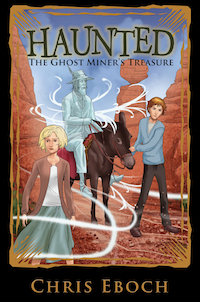 Now The Ghost Miner's Treasure is back in print from Spellbound River Press. A reader review noted,"What I loved most of all, was the way my 4th grade daughter got sucked into the story. She’s a reluctant reader so it was a joy to see her completely absorbed in a book; she immediately started the second book in the series when she finished, and can’t wait for more." Chris Eboch writes fiction and nonfiction for all ages, with several novels for ages nine and up. In Bandits Peak, a teenage boy meets strangers hiding on the mountains and gets drawn into their crimes, until he risks his life to expose them. The Eyes of Pharaoh is an action-packed mystery set in ancient Egypt. The Genie’s Gift draws on the mythology of 1001 Arabian Nights to take readers on a fantasy adventure. In The Well of Sacrifice, a Mayan girl in ninth-century Guatemala rebels against the High Priest who sacrifices anyone challenging his power.